Passive Ground Nulling Circuitry (GnC?) is implemented across the ground to eliminate ground induced reactances in the signal conductor in our Quiessence? range. Enhanced bandwidth and better resolution. GnC ? also acts like a noise filter, reducing the effects of external interferences such as EFI, EMF, RFI, and static charges. The result is a lower noise floor. Use of hybrid configuration connectors ? bananas or spades. 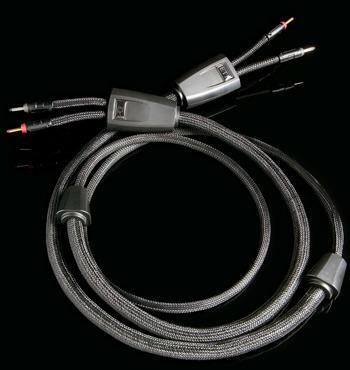 A Copper positive connector and a Silver ground uniquely complement the GnC?, and together produce better sound. Our Quiessence? range incorporates unique hybrid technology, in which the signal conductors are high purity Tellurium Copper, and the returns 99.99% solid Silver. There is an unmistakeable parallel between GnC? as implemented in the cables and the hybrid approach taken in the connectors.